I moved to Phoenix from Minneapolis in 1977. I was alone, determined to make it on my own, so I lived in some pretty, uh, inexpensive neighborhoods. So, my memory of Phoenix of that time is not one of the perfection of youth, it was the shock of just how horrible Phoenix was. First of all, it was hot. Unbelievably, unbearably, hot. My little apartment (the Saguaro Apartments, pictured above, near 7th Street and Indian School Road) had an "air conditioner" that just rattled and made noise (and did nothing else), so sometimes I would hang out at the public library just to be cool. I wish I could have slept there! The streets flooded when it rained. It didn't take much to turn the streets into lakes. I wondered why there were no storm drains. Even the parking lots flooded. It was as if whoever built all of this had never seen rain. The bridges fell down when there was water in the river. I got to see the "100-year flood" and the "500-year flood" in 1981, and 1982, respectively. The concept of having a bridge that worked while there was water underneath it had apparently escaped the engineers. There was only one freeway. And, yes, you guessed it, it flooded when it rained. Downtown Phoenix was a horror. I went downtown just to see what it was like in 1977, and it looked like someplace that should have been closed off and surrounded with barbed-wire fences. 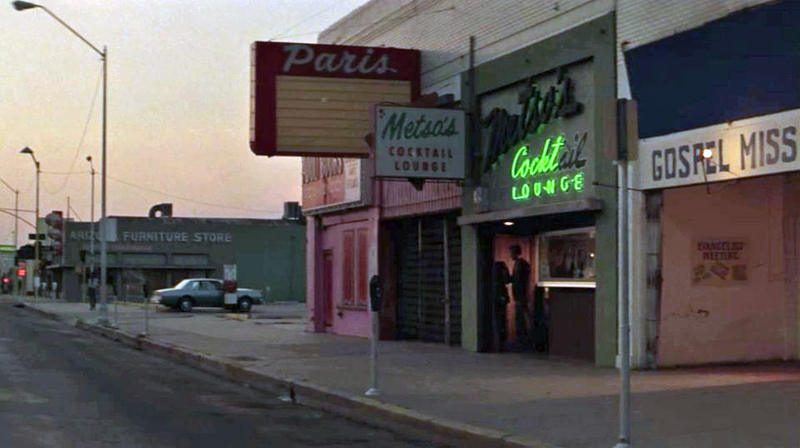 All cities have a little urban decay, but downtown Phoenix was just a rat-hole of dirty old buildings in the 1970s and early 1980s. I wondered how it had gotten so bad. My research has shown that the city of Phoenix is far older than I had ever imagined. There have been many generations of people in this city since its founding in 1870 who have lived here, worked here, and died here. Some of it's good and some of it's bad. I am trying to focus on the good, but sometimes the bad just gets really, really bad. 3rd Street and Washington in 1977, Phoenix, Arizona. 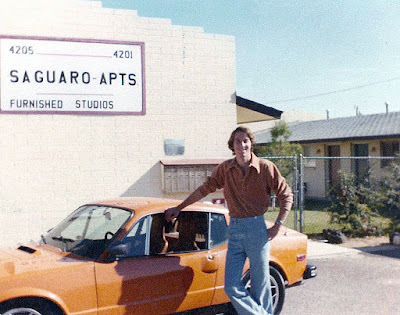 Image at the top of this post: the Saguaro Apartments in 1981, 4205-4201 N. 9th Street, Phoenix, Arizona. I really wish many of the old buildings survived. I mourn the loss of the splendid Victorian mansions in downtown Phoenix.